Now accepting proposals from students & faculty who want to participate in Project 100! It’s a simple idea. The campus community will generate ideas that will improve Northwood – towards which alumni members will each contribute $100. The Alumni Council will review all proposals and select finalists who have the opportunity to present their idea on stage. 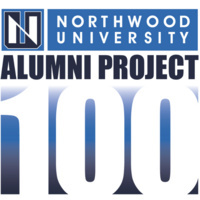 The winner – determined by Project 100 members – will receive $10,000 to bring their idea to life and make Northwood’s campus a better place to live and learn. All Northwood student organizations, departments and faculty are eligible to participate. The winner must represent a registered student organization or university department.